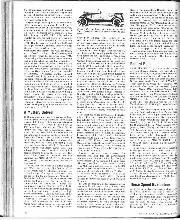 For many years now, motor racing historians who are accustomed to regarding Gerald Rose's Record of Motor Racing as an impeccable source of information for the period up to 1908 have been puzzled by an obvious anomaly contained in it with regard to the Renault racing voiture légère of 1902. 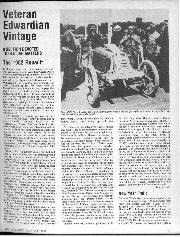 Writing of the car which won the Paris-Vienna race, the author states, on page 170, that "In the case of the winning Renault, the engine was of 16-24 h.p., 100 mm. bore and 120 mm. stroke, cylinders cast in pairs, mechanically operated inlet valves, and shaft drive . . ." Yet in an an Appendix giving "Mechanical details of the more important racing cars", the 16 h.p. Paris-Vienna Renault voiture légère is shown as having a bore and stroke of 120 x 120 mm. and automatic inlet valves. This anomaly is clearly apparent to Mr. Edward Eves, who has recently discussed it in an article entitled "Turning Point" in our contemporary Autocar. I do not think that Mr. Eves would claim that he had solved the problem, but he provides the most interesting additional information that the Paris-Vienna car in the Renault museum has atmospheric inlet valves, although there is some doubt as to whether it has its original engine. At the same time, Roger Deshuisgard, a Renault historian, claims that ten more cars were built, all with atmospheric inlet valves. Before 1902, all Renault racing cars had had single-cylinder engines, and it is common ground that the 4-cylinder motor used in 1902 was designed by M. Viet, who had previously been with De Dion Bouton. In its original form, at least it seems that it must have bad automatic inlet valves, as otherwise it would be difficult to account for the engine in the Renault museum. The Marquis de Dion is said to have described it as "of no interest". Criticism of a mechanical design was more likely to have come, one might have thought, from his partner Bouton, since the Marquis was scarcely an engineer, but whatever its origin, it seems that it may have had some justification. If the two Renault voitures légères which started in the Circuit du Nord race on May 15th and 16th 1902 were fitted with this engine, it hardly attracted major attention in consequence, as Vauthier failed to finish the first day's racing and Louis Renault the second. Then, little more than a month later, on June 26th-29th, Marcel Renault's voiture légère was so brilliant that it beat not only all the other competitors in its own class but all the heavy cars also in the race from Paris to Vienna. Was this just the result of teething troubles having been overcome, or, as seems more likely, were the Paris-Vienna cars fitted with a radically different engine, having mechanically operated inlet valves? Acceptance of this latter hyphothesis removes any need to doubt the categorical statement with regard to valve operation made by so reliable an historian as Gerald Rose. Moreover it is supported by circumstantial evidence which may be regarded as extremely cogent. When, before the end of the year, the 14 h.p. "Paris-Vienna" Renault went into production as a standard model, it undoubtedly had side-by-side valves, all mechanically operated, and it is hard to believe that it used this system before it had been applied to a racing car. Moreover insufficient attention on seems to have been paid to the fact that in his appendix, Rose gives the dimensions of the engine with automatic inlet valves as 120 x 120 mm. whereas he states that those of the Paris-Vienna engine were 100 x 120 mm. It would not be surprising if the more sophisticated engine turned out to be heavier, and that the bore was reduced accordingly in order to bring the car within the weight limit of 650 kg. In this connection it may be noted that, in the Circuit du Nord race, Louis Renault's car weighed 602 kg. and Vauthier's 616 kg., whereas in Paris-Vienna the weights of the three Renault voitures légères were 646 kg., 634 kg. and 644 kg. I am prepared to accept the argument that the greater weight of the Paris-Vienna cars may not have been occasioned by the use of a different engine, and may have been due to some reinforcement of the chassis thought prudent because of the rough roads likely to be encountered in Austria. But I would accept it more willingly were it not for the fact that Louis Renault's own car, at 634 kg. was the lightest of the three. Finally, there may be some significance in the fact that only three Renault voitures légères started in Paris-Vienna. In later years, of course, this would have constituted a normal team, but in the days of the town-to-town races, most serious entrants liked to spread their risks more widely. In Paris-Berlin in 1901, for example, five Renault voiturettes came to the start. True, in Paris-Vienna Renault ran four voiturettes as well as the three voitures légères, but in Paris-Madrid of 1903, while four voiturettes were again fielded, there were no less than six voitures légères in addition. If M. Deshuisgard is right in stating that in 1902 ten racing voitures légères were built with the automatic inlet valve engine, it rather looks as though the original intention was to entreat least half a dozen of them for Paris-Vienna. But if by the time the race was run, the decision had been made to switch to the new engine with mechanically operated inlet valves, it is quite possible that only enough of them had been built to equip three cars. If, as seems likely, there had been little time in which to test this new engine, it was something of a gamble to use it at all. In the light of Marcel Renault's outstanding win, few gambles can have paid off more handsomely. On New Year's Day the customary gathering of Herefordshire and adjacent VSCC members took place just outside Ledbury. Nearly 50 cars attended this pleasant, informal function, a Model-A Ford looking a Rolls-Royce Twenty in the eye, a Frazer Nash enthusiast arriving in an open 40/50 h.p. Rolls-Royce, and outside the car-park at "The Verzons" was an Edwardian Type CO De Dion Bouton omits first outing after a rebuild. Also present, but arriving on a trailer as it is not quite road-worthy, was the locally-owned Lombard, with twin-cam Salmson engine and three-speed gearbox (apparently a more reliable power-unit than the correct Lombard one) and a very smart replica body. Roger Collings turned up in his 60 Mercedes of 1903, it was nice to see Moffatt driving his stark GP Bugatti and Julian Ghosh brought two 30/98s, his ex-Alan May car and his latest two-seater, to join an already-present 30/98, there was a nice 3-litre Bentley, an OM, Hill's AJS, and two Daimler saloons, the vast sleeve-valve example adjacent to a smaller offspring in the guise of a DB18. Humber was represented by a 14/40 and two proper Frazer Nashes came. There were eight Morgan three-wheelers, two very early water-cooled side-valvers, one with gas lamps, and Evans' o.h.v. Blackburne-engined Super-Sports, which he has owned since 1934, often driving it from Worcester to Brooklands and back in a day before the war. Two sports Singer Nines looked almost identical, there was an unidentifiable long-tailed MG, a Morgan 4,4 to keep the three-wheeler contingent company, Riley Nine Gamecock and Special, and examples of Chummy, Two-seater, Gordon England Cup-model and Ruby Austin 7s, and a lone Sunbeam 14 tourer. The organiser naturally came in his Frazer-Nash BMW and prevailed on me to present a bottle of whisky to the driver who had come the greatest distance, judged to be Gwynne Stephens' handsome 1935 open LG45 Lagonda from Neath, in Wales. So ended a day, with John Cook's Austin 12 saloon overexciting its carburetter so that it needed a tow-start from a modern Alfa Romeo and an Austin 7 dropping its front-axle radius-arms in embarrassment, that proves there is plenty of vintage enthusiasm in the Border country. — W.B. It is nice when a mystery that has troubled one for many years suddenly gets solved. In my case it concerned the Summers light-car which the great racing driver, L. G. Hornsted, entered for the 1922 May Brooklands' Meeting. 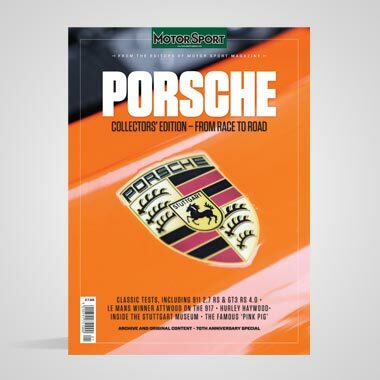 The car's true identity and why such a once-famous driver should be connected with it had worried me front the time when I embarked on the writing of my Brooklands History. I tried to contact Hornsted but by then even Douglas Tubbs of Motor, who knew him, had lost touch. I thought perhaps there was an association with R. F. Summers of 30/98 Vauxhall and Aston Martin fame, etc., although if there were, I wondered why he had needed someone to drive the car for him! But when I interviewed Mr. Summer's son Bill Summers (see Motor Sport for February, 1981), he had no recollection of any such car. So what was it? The mystery solved itself in a rather unusual way. 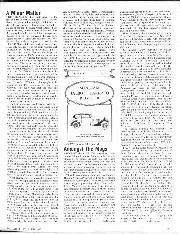 When, last year, Mr. Jim Boulton of the VMCC kindly sent us Christmas greetings, he enclosed a copy of a page advertisement which had appeared in the The Garage and Motor Agent for October 28th, 1922. This advertisement wan not for the Summers car, but for the 12 h.p. Hornsted. But a bell rang for me . . . The ad. said that this new small-car ''designed by Capt. L. G. Hornsted, the famous racing driver, and backed by his long and unique experience in high efficiency motoring . . . is to be built in one of the largest and most modern factories in the world". It went on to say that for the past three years (since 1919 therefore) Hornsted had been "exhaustively testing the car on road and track" and it then went on to the usual superlative, beloved by ad.-men. 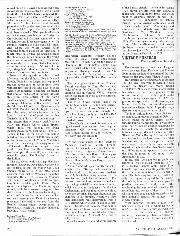 The readers of this advertisement were assured that "many thousands of miles were covered before Capt. Hornsted was satisfied that he had evolved a car that in every way complied with his high ideals". Now by this time "Cupid" Homsted was less well known to the motoring public than he had been before the not-long-concluded war. Before 1914 he was the English racing rep. for the German Benz Company and he had raced their cars here. He had been a star-turn at Brooklands with the 200 h.p. and smaller Benz cars and had escaped unscathed from one of the worst long-duration skids ever seen there, after a tyre burst. 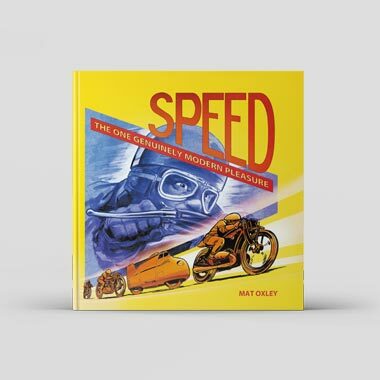 He had put the Land Speed Record to 124.10 m.p.h. at the Track in 1914, with the 21-1/2-litre chain-drive Blitzen-engined Benz, the first two-way run of this kind, the faster run being done at over 128 m.p.h. But after the Armistice Hornsted did little in the way of racing. He was associated with the 1914 GP Opel single-seater in 1920, raced a war surplus Dodge, appeared at Brooklands with a 200 h.p. touring-bodied Benz in 1921, drove that sports Mathis Six in the 1925 JCC High Speed Trial, and in the same year raced a sports Cottin-Desgouttes, but only the old Dodge gave him a flavour of former glories. Nevertheless, when his name was coupled to that of the 1922 Summers racer, I was keen to know more. The Hornsted of the aforesaid ad., I thought, might hold a clue. It was described as having a four-cylinder 70 x 100 mm. (1,530 c.c.) engine with overhead valves, a ball-bearing crankshaft, and a Zenith carburetter, driving a 4-speed gearbox through a cone clutch. The tyres were 760 x 90s and all else was quite normal for the period, except for double 1/4-elliptic back springs. 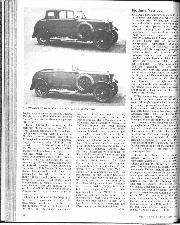 It was announced that deliveries of the four-seater Homsted would begin on Nov. 20th, 1922, the price to be £325. The ad. showed a photograph of Mr. Hornsted, backed by an artist's impression of the Brooklands banking, with a racing-car speeding past a "World's Records" hoarding, to set the scene, as it were. I confess I had never heard previously of a Hornsted car. But this old advertisement prompted me to look at it up in the "Georgano Encyclopaedia". It was there, and the entry read: "Hornsted, see Moll". Under "Moll" I found: "The Moll was a light car powered by a 6/30PS Siemens & Halske 4-cylinder engine of 1,595 c.c. This was sold in England in 1922 and 1923 by L. G. Hornsted under the names of Hornsted or Summers . . ." The Moll which Hornsted intended to import was made by Moll-Werke of Chemnitz. 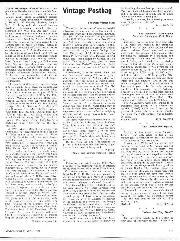 So, with due thanks to G. N. Georgano for his invaluable Encyclopaedia (Ebury Press, 1982) which every historian should possess and is likely sooner or later to consult, I now know what it was that the once-great racing-driver had entered for three Brooklands races in 1922. The cylinder bore of this racing Summers had been reduced by one millimetre, apparently to bring the engine-size within the 1-1/2-litre class, presumably with other competition appearances in mind. At that early stage in the proceedings Hornsted hadn't the confidence to run the car under his own name, and it must be assumed that "the largest factory in the world", in which his car was to be built, was the one in Germany since the address of the Hornsted Motor Co. was "Devonshire Chambers, 146, Bishopsgate, EC2", which doesn't sound much like a busy manufactory (During the 1922 Motor Show an office was opened in Kensington Crescent, W14, in the hope of taking orders.) I cannot give you any idea of how fast the aluminium racing Summers was because it non-started in two of its intended races and, after a standing-lap of 54.3 m.p.h., retired from in third. The claim for the standard 4-seater was 3 to 55 m.p.h. in top gear, with 35 to 37 m.p.g. Like so many other ill-founded projects of the time, nothing more was heard of it. But one thing we can say with confidence. The Summers was Hornsted's Moll. — W.B. Last month D.S.J. 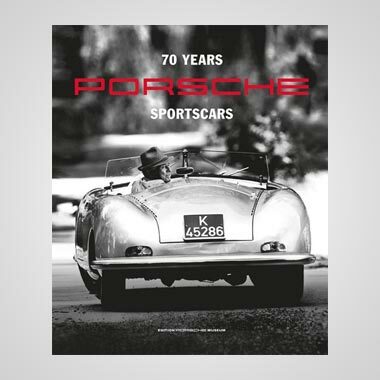 wrote of the pre-war one-hour officially-observed runs undertaken by various sports-cars, saying that after the was there was nowhere suitable for such runs, the nearest thing being timed runs over short distances on Belgian motor roads. He overlooked Montlhéry Track near Paris, where these observed runs continued after peace had returned. Jaguar, Frazer Nash, MG, Sunbeam-Alpine, Riley Pathfinder, Bristol, Austin Healey, and Wolseley cars were involved from 1948 onwards, the fastest one-hour run being by Leslie Johnson in a Jaguar XK120 at 131.20 m.p.h., and it was at Montlhéry, in 1953 that Tom Plowman with his 1924 30/98 Vauxhall covered 106.91 m.p.h. in one hour from a flying start. D.S.J. was comparing such runs with last year's splendid performance by a Porsche 928S, which averaged 156.22 m.p.h. every hour for 24 hours, during a run at the Fiat test-track at Nardo. Which reminds me that in 1950, at Montlhéry, a Jaguar XK120 did 107.46 m.p.h. for 24 hours, and that in 1952, at the same venue, Johnson, Moss, Hadley and Fairman averaged 100.30 m.p.h, for seven days and nights, covering 16,852 miles with a Jaguar XK120 coupé before a back spring broke. 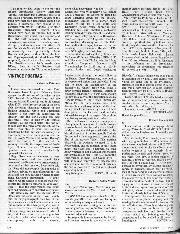 Incidentally, anyone interested in such runs will find them set out in as article I wrote for Motor Sport, called "100-In-The-Hour", published in the December 1955 issue. In the field of International record-breaking, late last year 17 new 1,101-1,500 c.c. and 1,501 to 2,000 c.c, records were established in the now-complicated (Category A, Group 1) class for production-type cars, by Terry Drury Racing, for Alfa Romeo (GB) Ltd., using an Alfasud Sprint 1.5, a Giulietta 2.0, an Alfetta Turbo Diesel 2.0 and a Giulietta Turbo Diesel 2.0. The speeds ranged from 100.299 m.p.h. for the Alfasud over 25,000 miles, to 112.767 m.p.h. for the Giulletta 2.0 over the same distance, and two of the cars established new class records over 50,000 km. So record-breaking isn't dead. — W.B. Arising out of last year's article about speed guarantees, a reader has sent a copy ia the 4-1/2-litre Bentley catalogue in which it was stated that ". . . the engine might almost he described as idling at 60 m.p.h. ", and Mr. Anthony of London says he seems to recall Aston Martin Ltd. guaranteeing 100 m.p.h. from she production Ulster model. — W.B.